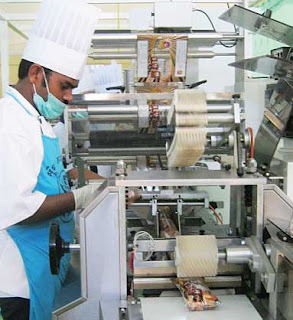 The automated bun production line at M California Bakery's new factory. A new Malaysian-owned bakery has opened in Phnom Penh, the M California Bakery, on Street 598, Sangkat Toul Sangke in the Khan Russei Keo district. On hand for a speech on Monday was the Malaysian Ambassador to Cambodia, Datuk Pengiran Hj Mohd Hussein, bakery owner Dato Mashood Wahab and his family and friends. The new factory employs 25 people and uses the latest automated equipment from the United Kingdom. Owner and Managing Director Dato Mashood Wahab is a third-generation baker who owns Malaysia’s oldest bakery in Kuala Lumpur, opened by his grandfather in 1906. “Now I am branching out in Cambodia and this is my first venture overseas,” he said. 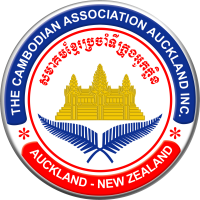 Mashood Wahab described himself as “very positive” about Cambodia’s future and said he planned to sell a range of products including sandwich bread and filled buns – with red and green beans, chocolate and custard – to supermarkets, convenience stores and for delivery. “My bread should reach every household at a very affordable price,” he said.